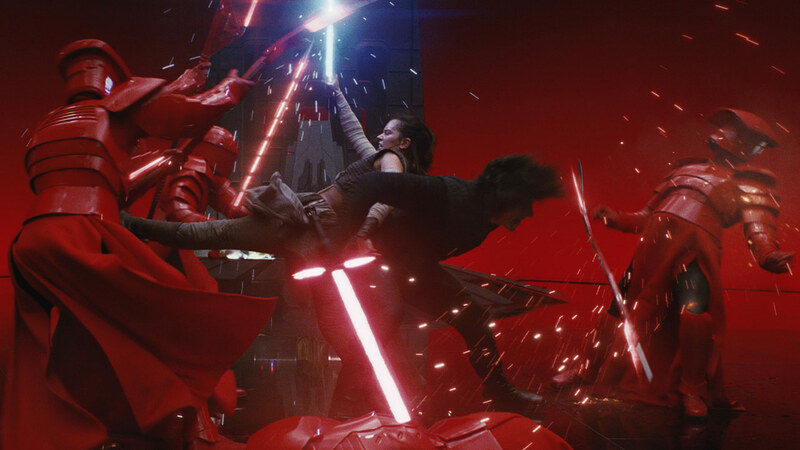 Deadline recently counted down the top ten most profitable movies released on 2017 and Star Wars: The Last Jedi topped the list as the most profitable film of the year. This is different from highest grossing film, because Deadline's series counts down the films that made the most money after the costs of production and marketing are subtracted from the film's box office and home media gross. According to their calculations, Disney took in $417.5 million in profit thanks to The Last Jedi. The next most profitable film released in 2017 was another Disney production, Beauty and the Beast with $414 million in profit. Other films on the list include Wonder Woman in 6th with $252 million, Spiderman: Homecoming in 7th with $200 million, and Guardians of the Galaxy Vol. 2 in 19th with $154 million. Jumanji: Welcome to the Jungle, which was the first film to beat The Last Jedi in a weekly gross, finished 4th with $305 million in profit. It is really interesting to see how Deadline breaks down a film's actual profitability (which you can see here). It's also interesting to note that a film's place on the most profitable list doesn't always match its place on the box office gross list (although in this case, The Last Jedi topped both lists). For example, Rogue One was the second highest grossing film of 2016 but only the third most profitable. This was due in part to the massive (and expensive) reshoots that took place. Another example is Get Out, which was the 37th highest grossing film worldwide in 2017, but finished 10th on the profitability list. This was due to the massive difference between the film's box office gross ($255 million) and it's budget of $4.5 million. There's no denying that the response to The Last Jedi has been divisive, but recently some people have tried to use some "alternative facts" to claim that the film was not a success for Disney. This breakdown and list from Deadline proves otherwise. True, the film was not as profitable as The Force Awakens (which was, unsurprisingly, the most profitable film of 2015, making $780 million in profit), and maybe Disney was hoping it would make a little more money, but it's still hard to be too upset with a film that was the most profitable of the year. Which is not to say you shouldn't be critical of the film (there's plenty to be critical of) or that people who didn't like the film are wrong because it was profitable. Just that, whatever issues the film may have, financial success is not one of them. Star Wars continues to be a massive success for Disney and you can bet that Solo, even with all its issues, will be near the top of this list next year. Fell out of the top 10 very quickly though. Jumanji was in the top 10 up until a few weeks ago & was released only 5 days later. That tells you right there how much staying power it did not have. If not for people buying 1 0r 2 tickets before watching TLJ it would not have made a profit. I purchased multiple tickets in advance and so was stuck with them after my first viewing of this piece of trash film. I won't be making that mistake again! I will watch Solo once and then maybe again if its any good (but I have my doubts). After TLJ, I would doubt any SW film will make as much movie as this did simply because we are all wiser now than to purchase multiple advance tickets before we know what we are getting.